When you start painting you have an idea, a vision, if you will, of how you'd like it to look when it's done. However, often the way the final painting looks is very far from how we envisioned it. One of the secrets of having your painting look the way you picture it in your mind is learning how to control the tools you use: paint and brushes. You've got to become a skillful master at the painterly effects. Different techniques in the application of the paint will result in very different visual effects. Below are short explanations of the basic paint application techniques using brushes. 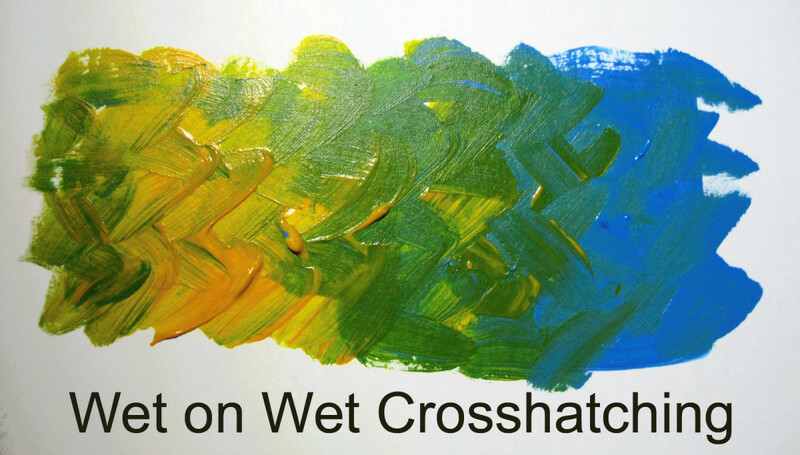 In crosshatching, brushstrokes are crisscrossed over each other to create a web of color. The spacing between the lines can be varied, depending on the effect you want. You can use crosshatching to model form, build up areas of light and shade, or create lively color mixtures. This is a technique when an old, bent brush can come very useful, for each bristle creates its own tiny stroke, making for a rough crosshatched texture. Crosshatching can be done in any number of colors, brushed on in any direction. Wet on wet crosshatching. Make X patterns with one color. Without washing the brush get the other color make same Xs and blend. Wet of dry crosshatching. Lay a flat wash of yellow ochre, then crosshatch in various directions using fairly dry paint. The underground color glows through and creates a subtle optical mixture. 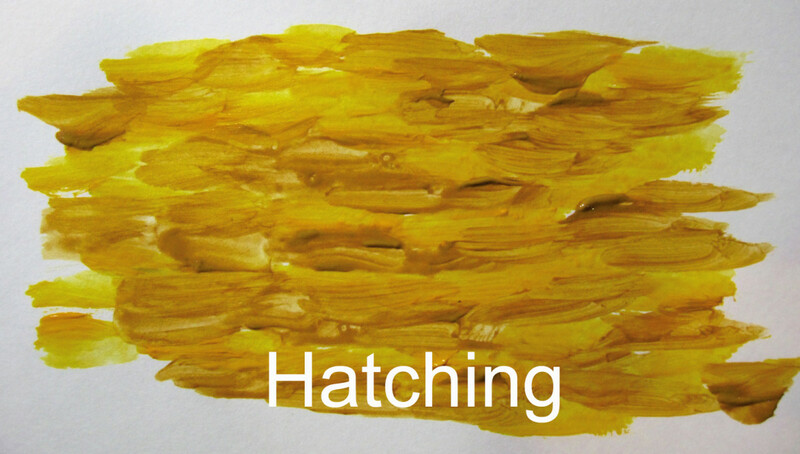 The term hatching refers to the building up of tone and texture with parallel lines. Typical of pen and ink drawing, hatching is the traditional method to create tonal shading. 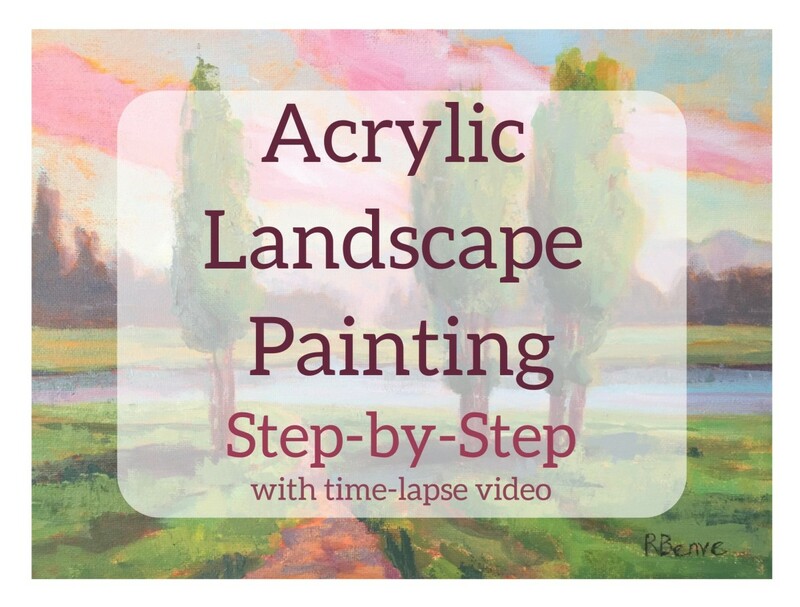 It can also be used as an exciting way to blend different colors. In hatching, the strokes of different colors are not smoothed together, up close you see each color, from a bigger distance you achieve optical color mixing and the colors are fresh and vibrant. You can build up striking color relationships by intermixing different colors without blending. In the drybrush technique, the brush is loaded with a small amount of thick paint and it’s dragged lightly over a dry painting surface. This way the paint catches on the raised tooth of the ground leaving tiny speckles of the underlying color showing through. The texture of the surface determines the texture of the drybrush strokes. This technique allows the painter to suggest details and texture with minimal brushwork. Don’t blend or labor drybrush strokes; use them confidently and boldly, and leave them alone, or you’ll lose the effect. 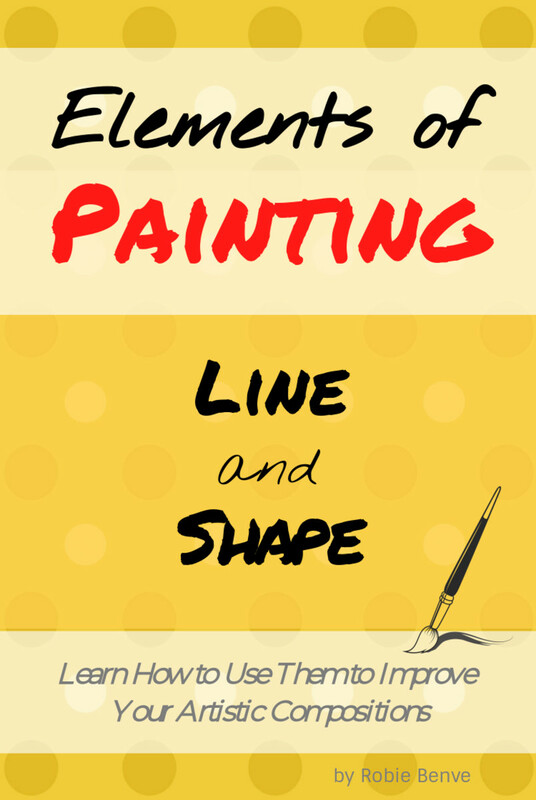 As the paint is depleted from the brush, the stroke becomes fainter. 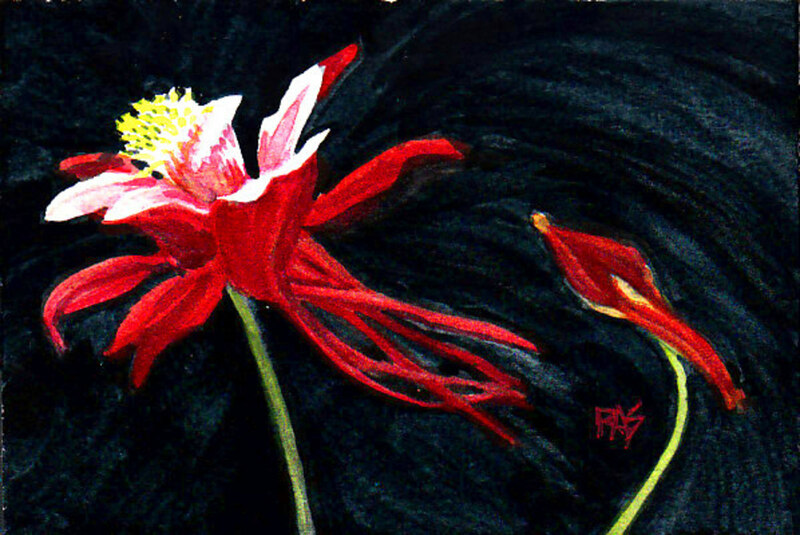 This produces rough, lively gradations of tone and color. 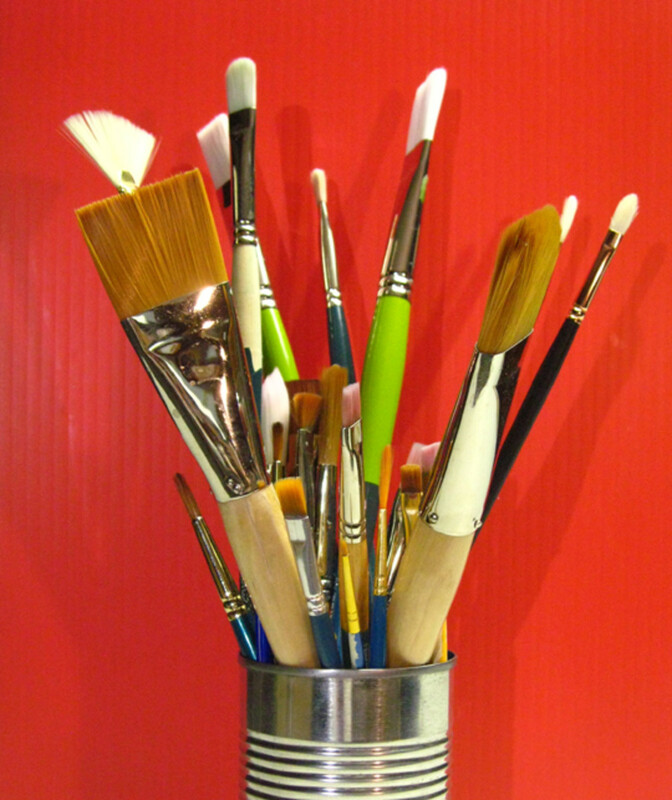 Poll: Many artists have a favorite brush. How about you? Do you find that you use mostly brushes of one type? No, I use them all. Flat brushes are my favorite. Round brushes are my go-to. A flat wash produces a smooth, even layer of color. When laying a flat wash in acrylic it helps to dilute the paint with some water or (better) with some matte medium. This makes the paint flow smoother and gives even coverage. To create a nice smooth wash, use soft bristle brushes and work each stroke in one direction only, rather than scrubbing back and forth. For an even coat, use a wide, flat brush, slightly overlapping each successive stroke. 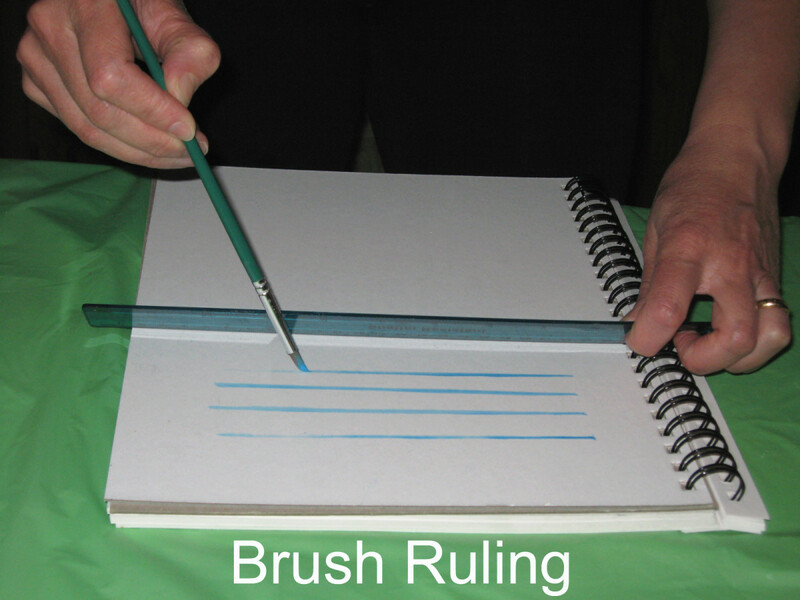 Making a straight line with a brush can be quite challenging because the bristles tend to wobble and it’s difficult to control the flow of the paint. It requires a very steady hand. Use masking tape. The masking tape technique is self-explanatory: paint the line, then peel off the tape. Use a tilted ruler to guide your hand. When using the ruler, you want to avoid to use it flat, like when you are drawing a line with a pencil, because the paint can smudge. Hold the ruler at 45-degree angle to the surface and gently draw a soft brush across the ruler, keeping the ferrule of the brush against the edge to ensure a straight line. Use the ruler as a printing tool. You can apply paint to the edge of a ruler and “print” the line by pressing the edge firmly on the surface. Lift the ruler off quickly to leave a thin line of color. This kind of line, though straight may present little gaps or small smudges. In alternative to this, for shorter lines, use the straight side of a painting knife. 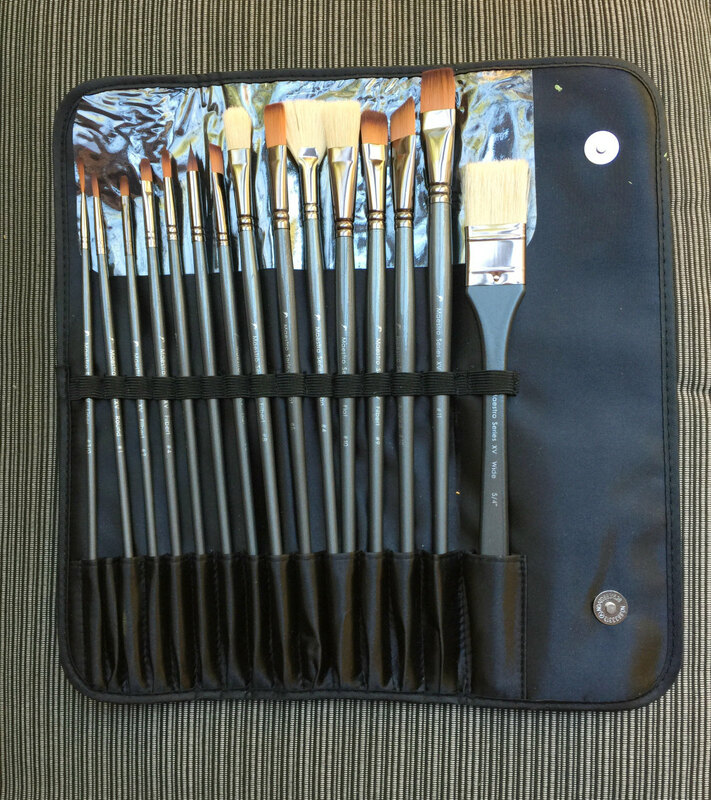 This is a very nice set with a good assortment of brushes. I especially like the bouncy bristles and the ergonomic long handles. I use it for acrylic painting, but it would be great for oils too. Many subjects require a thin organic line that would not look natural if made with masking tape or ruler. 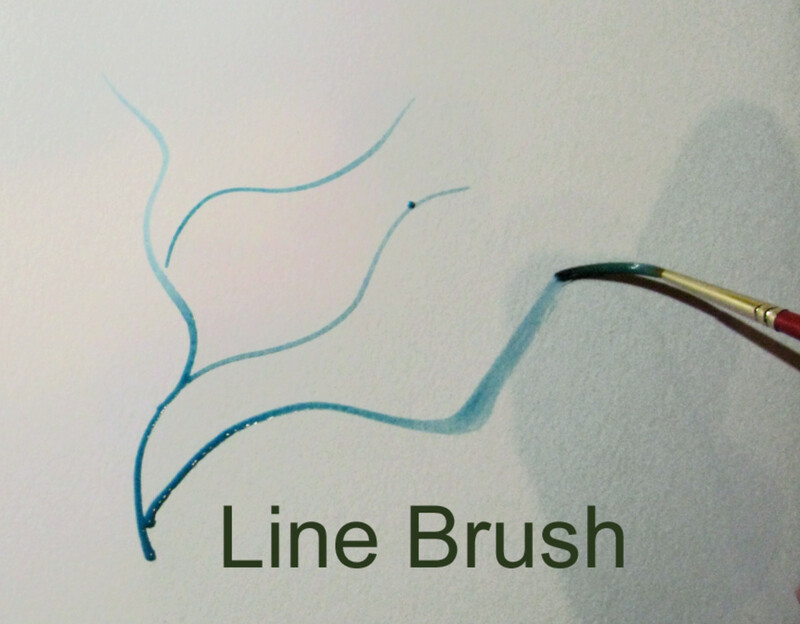 For example, to create flower stems, grass blades, or tree branches, a free-hand line using a liner brush is the way to go. Use fluid paint, hold your brush loosely towards the end of the handle, and draw lines with a fluid movement. The line gets thinner as you drag your paintbrush. It helps gently to rotate the brush between your fingers: it keeps the line varies (important especially for tree branches) and uses the paint on all sides of the bristles. Keep a very light touch. 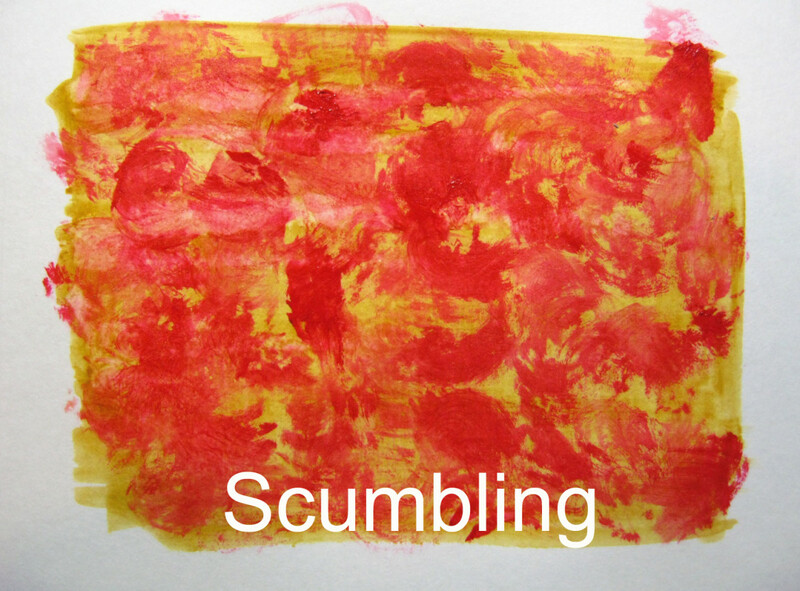 Scumbling is the rough and uneven application of a layer of thin paint over a layer of another color, producing a lively and unpredictable texture and color variety. Rather than a smooth, even gradation, scumbling produces a more casual blend. Colors that are too warm, too cool, or too bright can be modified with a scumble of a suitable color. Scumbles are usually applied with a circular motion of the brush, but the effect can also be achieved with streaks, dabs, or smudges. Acrylics dry fast, but if you work quickly you can scumble two colors into one another while they are still wet. While the paint is still wet, you can create gradations of color by “knitting” the various tones of color together, using carefully controlled brushwork. Stippling is the brush technique that uses random small dots or scattered brush marks to create colors, tones, and textures with. You can paint each tiny dot of color in a controlled way with a small brush, or you can use a flat, bigger brush, and let the bristles make the dots for you. Making separate dots with a small brush, hold the brush perpendicular to the surface, and make each dot evenly spaced, without pressing too hard. Paint can be quite fluid but not runny. 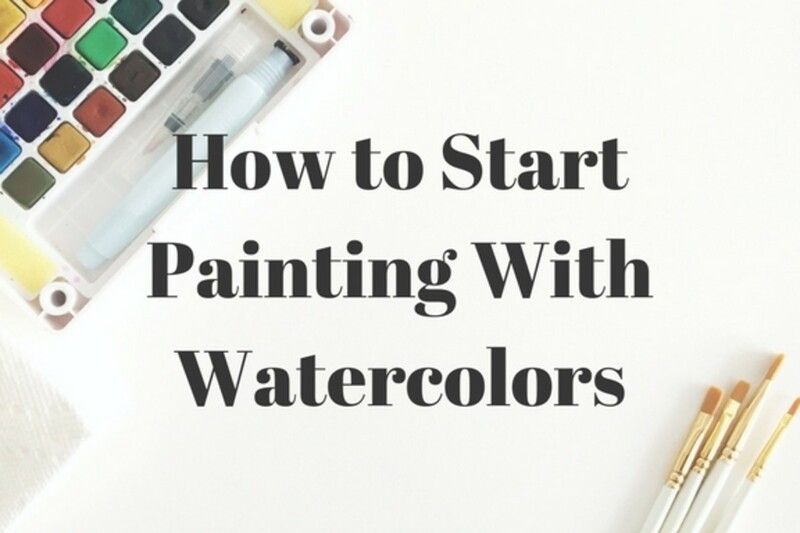 You can experiment by intermixing two or more colors; graduating from one color to another; and applying a stipple over different colored washes. Stippling with a stiff brush, each of the hairs leaves a tiny dot of color. Using a brush with softer hair to stipple will produce a slightly blurred, more irregular effect. You can also stipple using a sponge or other creative textured objects, like a nail brush or bubble wrap. Moisten the applicator with fairly stiff paint, then apply with a press-and-lift motion. Keep dabbing and lifting, slightly overlapping the patterns, until you achieve the density and texture you want. 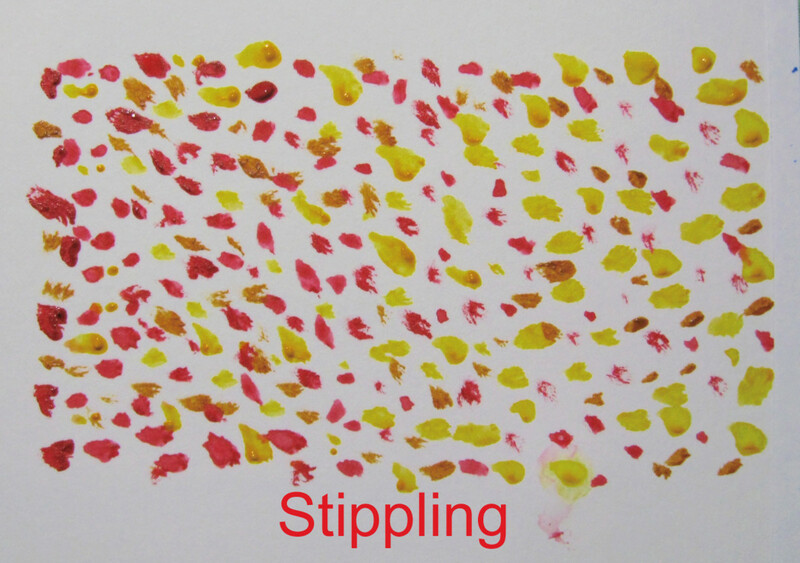 Experiment stippling using semi-liquid paint and see the different effects that you can achieve. As you probably gathered from the information above, to be able to create the wanted effects, you'll need a nice range of brushes to choose from while painting. Different shape brushes and different sizes come handy for each specific job. For tips on how to choose your paintbrushes, read my article Guide to Choosing the Best Paint Brushes for Acrylics and Oils. I keep an assorted inventory of brushes readily available, nice and clean. Does it matter what kind of brush stroke you employ if the brush has natural or synthetic hair? In my general experience, the bristles of synthetic brushes are smoother and softer than natural ones. The softer the hair, the less paint a brush can hold, and the smoother the stroke will be. Coarser hairs tend to make more textural strokes, in which you can see the groove lines made by the bristles. 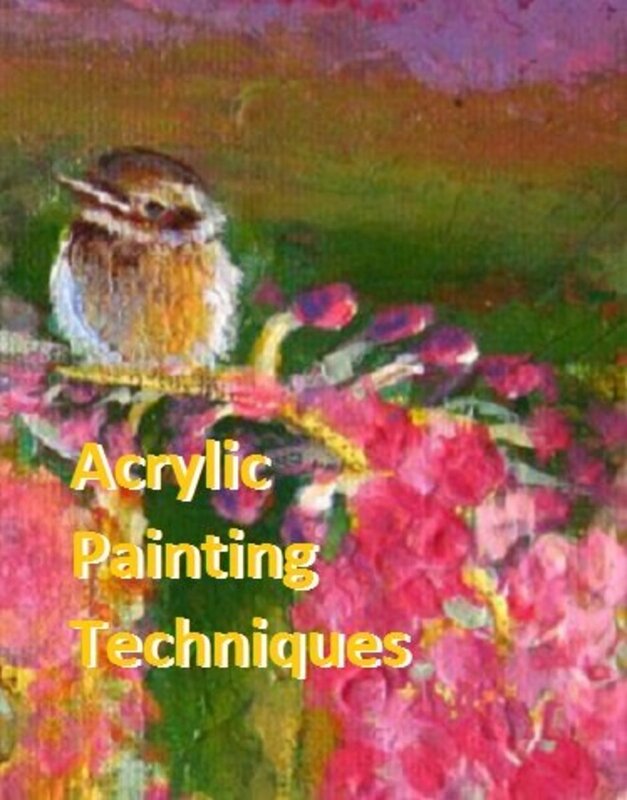 This is evident when you are using thick paint or a dry brush technique. If you dilute or thin the paint, then there will be less or no visible texture. What are the three main painting brush strokes? - Dry Brush - lots of paint on the brush, dragged lightly over a dry surface, creating a textural stroke. What is the best size and brush for the wash ? I like to do my washes with flat brushes, half an inch or larger. What is a value stroke? The value of a stroke is the degree of darkness or lightness of that particular stroke. The best way to see the difference in values is to squint. Look at your painting squeezing your eyes and using your eyelashes as a filter, and it will be easier to see the value of each stroke. Robie, I refer my students to this page as part of their introductory process. Thanks, for updating it and keeping it fresh. Thank you, Robie, for the encouragement! I gotta "just do it" as they say. :) Have a beautiful week ahead! Hi heidithorne, I find that many time our own enemy and creativity-stopper is our mind. My thoughts (and I am talking about the negative, self doubting ones) can be the worst road blocks to overcome. A suggestion for getting the painting skills on your bucket list: pick up some brushes and paint, some cheap paper or canvas, and start playing around with colors/subjects you like. Nothing more liberating than doing something you love and knowing that if you mess up you are not wasting expensive stuff. Happy painting! :) And thanks a lot for your votes and kindness! Pinning to my Draw/Paint/Create Arts and Crafts board. Thanks. 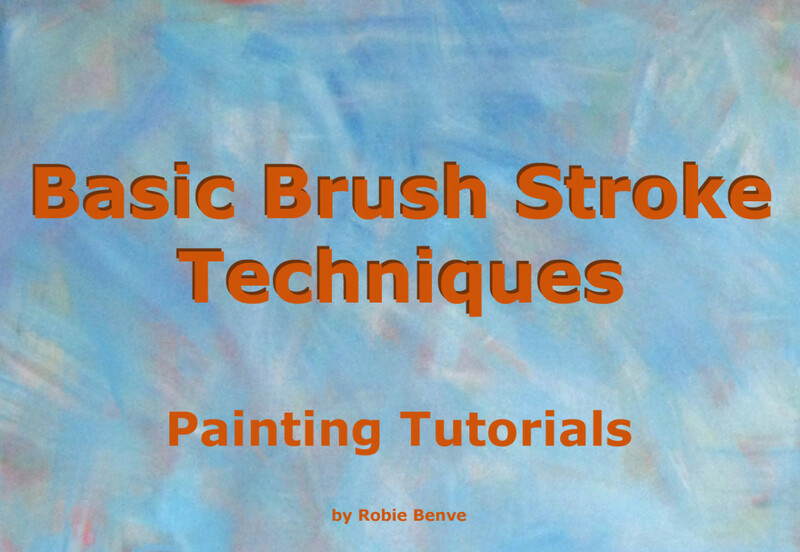 All the brush techniques for painting, that you have mentioned above are just beautiful. 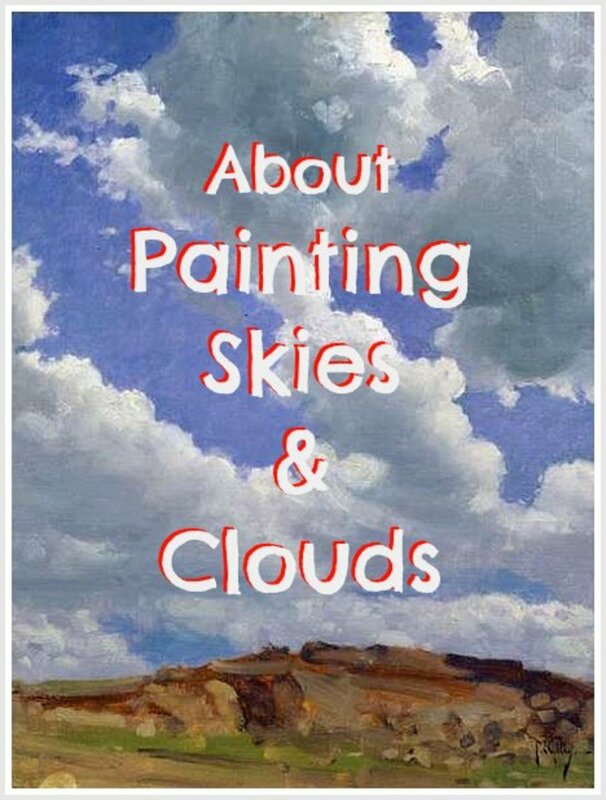 I have a keen interest in painting, especially oil painting. Thanks for sharing your artistic skills. Voted up and pinned! Painting beautifully like this is a serious bucket list item for me. Thank you for the inspiration. Voted up, beautiful and sharing!